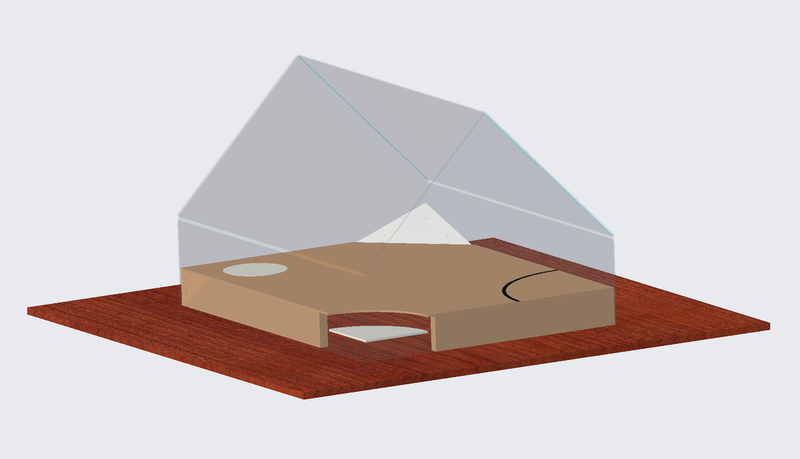 The idea is we can drop different base sections in to swap it between our fun events (with arena hazards: floor flipper, lowering pit, turntable, and CPZ) and the AWS spec version with just two pits. We are looking for design tips / ideas! We've opted for the triangle shape to make it pack up small, whilst giving good visibility and fitting in a small car. Side walls are 15cm high. 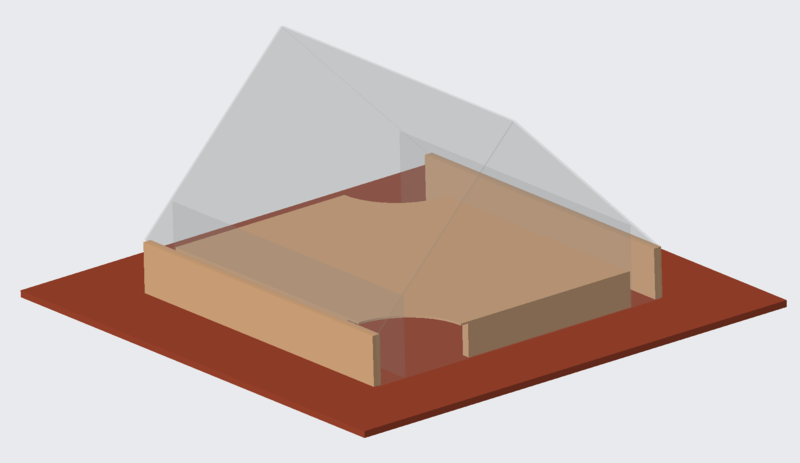 Current plan is to make the end sections and side walls 6mm polycarb, and the roof 4mm polycarb. Arena floor is 90cm * 100cm. What are your thoughts? What should we add / change? The only thing I can think of straight away is that old arena designs always had the ability to push someone along the wall and into the pit, which became irritating after a while. That's why Peter's arena has those small "pillar bits" at the bits where the wall meets the drop off edge. That small change meant significantly more driving skill was needed to get someone in than just push along the wall. Apart from that teeny tiny point, looks great to me!